The team is chomping at the bit to get to SOE Live in Las Vegas in October! We have a pretty big EQII Dev group going who want to take a couple of days out of their busy, expansion-making lives to meet and spend quality time with players IRL. This is my first time as the producer of EQII at a fan event, but I have attended three fun-filled fan faires as an EQ designer (that I remember…) and one as a player way back in 2002. I’ve always had a great time and can’t wait for you to join us! There’s certainly a lot of stuff going on this year! First, during the event, the EQII devs will be available in and around the event to chat with players. Bring your questions, suggestions, issues, baked goods, and happy-happy, joy-joy comments to any of us. We are going to do our best to be easily identified (scandalous/hilarious EQII t-shirt ideas welcome). We’re now just 5 weeks away from SOE Live in Las Vegas and news of different sorts are starting to trickle in. New this year are Player Panels, and the creators of EQ2Wire and EQ2U have submitted 2 panels which we hope to participate in. That’s in addition to the wall-to-wall coverage that only EQ2Wire can provide. If you will be at SOE Live (formerly Fan Faire) and have an interest in hosting a Player Panel, either as a Lecture or Discussion Panel, you have until September 14th to submit an application. We know you come to SOE Live to hear us rabbit on about our various areas of expertise, but I bet you’d just love a chance to get up behind a microphone yourself, to offer advice, information, share your opinions and help out your fellow players. This year, we’ve set aside a room that holds up to 76 people and blocked out several spots on the schedule for both Friday and Saturday, ready and waiting for YOU! That’s right. We’re inviting you to create and host your own Player Panels. Sessions can be presented by an individual or a panel of up to four people. We’ll do our best to accommodate as many submissions as we can, but we do anticipate a lot of interest, so please don’t be crushed if yours is not selected this year! Presenters and panelists will gain a free all-access pass to SOE Live (does not include add-ons such as laser tag or Dev Brunch). If you’ve already paid for your pass this year, we’ll refund your fee! SOE Live will be here in less than two months, and we are starting to round out our panels and activities! It takes place October 18-21. You should sign up NOW, before you forget and regret it! I’ll say it right now – we have some panels that are so under wraps that if I announced them, someone from PR would have me beheaded! Stay tuned for more news on those, because I will tell you about them the instant I can! Here’s what I can tell you now. We’ll present three Keynote Sessions this year, spreading the excitement out over Thursday, Friday and Saturday evenings. We have a lot of cool new information to share, and for your sanity’s sake and ours, we’ve decided to deliver the goods in three short, exciting segments rather than our usual single marathon session. This year, for the first time, we’re going to invite player panels too. Oh, yes we are—I am not sure if I am more excited or nervous, but we expect these to go over very well indeed! Panels run by players, for players—I know you can hardly wait for that! Look for a separate blog feature about these panels and submission criteria within a few days! EQ2Wire/EQ2U will be at Fan Faire SOE Live, and if they’ll have us, we’ll also try to organize a Player Panel too! If you’re going to SOE Live, would you attend a casual get-together with EQ2Wire? Over the last five years, SOE’s Fan Faire player gathering has braved the unforgiving glare of the Las Vegas desert during its hottest months. This year, the event has a new name, and will be graced with cooler temperatures. SOE Live returns to the familiar Bally’s Casino Hotel but this time, the event will be knocking on Halloween’s door with its October 18-21st weekend. News of SOE Live tickets going on sale got a bit lost in the shuffle during our extended server migration, but we’re back, and Las Vegas is the city that never sleeps. Registration is about to open for SOE Live! In this week’s webcast, Linda “Brasse” Carlson (Director, Global Community Relations) will chat with the Events Team, Jen Belfield (Director of Marketing Services), and Lauren Zeiger (Events & Strategy Partner Manager) about SOE Live. The gals will give you a live demo of our new registration process on our brand new site! If you are planning on attending SOE Live be sure to join us on Thursday, June 28, 2012 at 4:00pm Pacific. This webcast will last approximately 20 minutes. If you are in Europe, it’s either midnight (BST) or 1am (CET). SOE Live: Badge Levels, Extra Attractions, and a Sunday Event? Donna “Danicia” Prior, Social Media Specialist for SOE, has in the past represented Heatwave Interactive, Bioware, and Flying Lab Software at fan events such as GenCon, PAX, as well as the Game Developers Conference. Her most visible change at SOE so far has been the rebranding of the annual Fan Faire event. There has been speculation that the October 18-21, 2012 event will be more marketing and vendor-driven than past events, but otherwise, we are still waiting for all the details of this fan event to be announced. We did take a moment to ask her some questions in the SOE Live forum and got some interesting responses. We’re still six months away, so planning is still underway, so keep in mind that any of this could change between now and then. Confirming rumors we’d heard last week, Blue’s News and StrategyInformer are reporting that SOE is renaming its annual fan gathering from “SOE Fan Faire” to “SOE Live“. Sony has announced the debut of a new convention devoted to Sony Online Entertainment MMOs, SOE Live. The convention will be located in Las Vegas, NV from the 18th through 21st October this year. The convention will take place at the Bally’s Casino. The games that will be showcased at the convention include DC Universe Online, EverQuest, EverQuest II, Free Realms, Magic: The Gathering – Tactics, Star Wars: Clone Wars Adventures and Vanguard: Saga of Heroes. The convention will also debut PlanetSide 2. We wish we could concretely confirm that this year’s Fan Faire will take place on October 18-21st. We wish we had twenty-seven 8×10 glossy pictures with circles and arrows and a paragraph on the back of each one as evidence. But we don’t. So this will be one of those preponderance of evidence cases. Last August we talked about the poll asking which three fall dates SOE should settle on for Fan Faire (since Bally’s had already been locked up tight for the usual suspects of July and August). Players overwhelmingly chose October 18-21, 2012. Then there was silence. And more silence. Then SOEFanFaire.com started redirecting to SOE.com which we talked about. Linda “Brasse” Carlson mentioned in a podcast (I believe SOE Podcast #126) that if you had seen the poll thread, you already knew the Fan Faire 2012 dates. Looks like I’m not the only one who noticed that http://soefanfaire.com/ is now redirecting to http://soe.com/. Nope, we haven’t canceled anything, nor are we ready to make any announcements just yet. The site is currently down because we’ve been redesigning a lot of our sites and right now it’s just not live. Don’t fret. 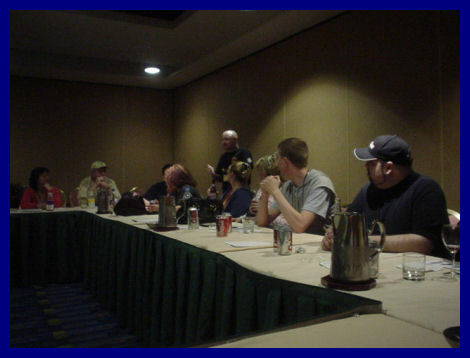 During Fan Faire 2011’s “Freeport and Beyond” panel led by EQ2 Exec Producer Dave “SmokeJumper” Georgeson, a slate of exciting plans was laid out. The announcements outlined Game Update 61 (War of Zek), GU62 (Freeport Reborn), GU63 and GU64 which would each contain new Destiny of Velious content, and Game Update 65 slated for August 2012 which would bring about the revamp of the City of Qeynos. What we’re concentrating on is making sure that we have not just new content to chew through really quick, although we’re constantly doing that, I think you guys all realize now that we’re on a quarterly basis for content. We’re not selling areas, quests, and things like that in the expansion packs anymore. We’re giving that to you for the regular subscription price as you play the game. The GUs (Game Updates) will constantly be adding more stuff like that. We’re telling Velious saga stuff… After Velious, we had 60, 61, Freeport is 62, then it’s Velious again on 63 and 64, and then Qeynos next summer for [Game Update] 65. So you can imagine our shock when reading SmokeJumper‘s statement today in response to a thread asking Is there anyone making actual content for EQ2 anymore? Lol. Sorry, folks. I went on a two-week vacation starting at the beginning of January. It’s nice to know I was missed. GU 63 (the next installment of DoV) is in April, not February. You’ll start hearing about it soon. The Qeynos revamp (GU 64) is after that in mid-Summer. 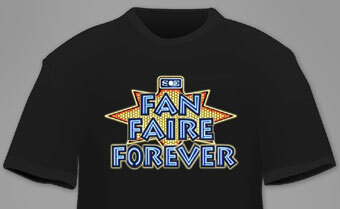 Voting for one of the above three dates for Fan Faire 2012 is only open until August 19, 2011. Here’s our final video from SOE Fan Faire 2011 “EverQuest II: Content and Zone Design”. If you’d like to view the transcript from this panel, check out our EQ2 Panel #6 – Content and Zone Design writeup. Here’s our fifth video from SOE Fan Faire 2011 “Programming for MMOs”. If you’d like to view the transcript from this panel, check out our Geek Panel: Programming for MMOs writeup. We’ll upload an HD version of this video soon. 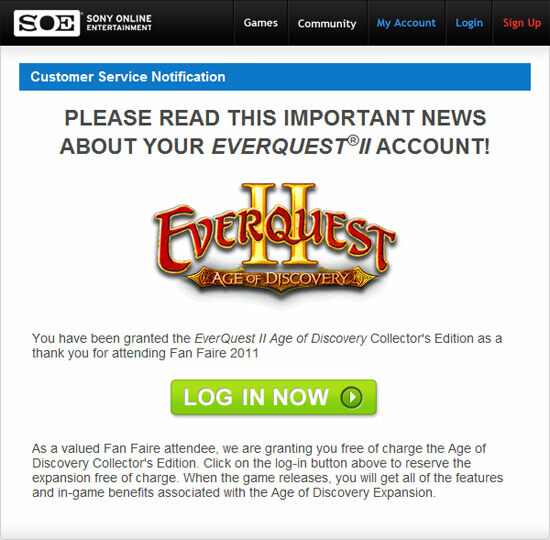 EverQuest2.com has taken a moment to recognize the MMO and EQ2 Fan Sites which were on the ground covering this year’s 2011 SOE Fan Faire. EQ2Wire.com covered all 7 EQ2-specific panels, plus the MMO ‘Geek’ Panel with EQ2 devs. Coverage of the rest of Fan Faire, including live webcasts, podcasts, the Tournaments, Live Events, and the Costume Contest were covered by a variety of websites. If you missed Fan Faire this year, we’ve got you covered. Because EQII has the best fansites and podcasts around, we have a ton of links to share with you, both from our in-game media friends, and some bigger gaming media sites who joined us for the weekend. It’s been just over a week since we were all in Vegas, celebrating our favorite games, getting down to the nitty gritty with the Dev Teams, and meeting our fellow players from all over the world. Though some of the news is still pouring in, here’s everything we could find so far. 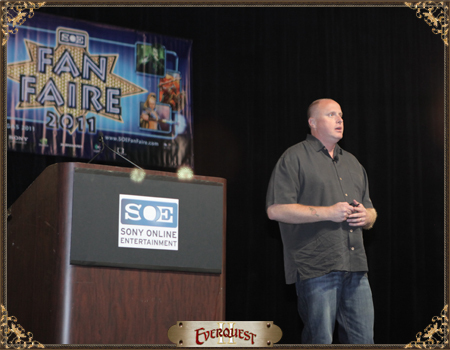 Here’s our fourth video from SOE Fan Faire 2011 “EverQuest II: Questions and Answers #1”. If you’d like to view the transcript from this panel, check out our EQ2 Panel #4 – Questions and Answers #1 writeup. We’ll upload an HD version of this video soon. Here’s our third video from SOE Fan Faire 2011 “EverQuest II: Tradeskills and Housing”. If you’d like to view the Slides from this panel in higher quality, check out the updated EQ2 Panel #3 – Tradeskills and Housing writeup. We’ll upload an HD version of this video soon. Here’s another video from SOE Fan Faire 2011, this time “EverQuest II: Questions & Answers #2” which was actually the last EQ2 panel on Saturday. The EQ2 design and development teams were on hand to take player questions during this dedicated Question & Answer session at this year’s Fan Faire event. Yes, I’m posting these videos out-of-order. The Q&A panels required no editing so that’s why they get posted a bit earlier than some others. Here’s our second video from SOE Fan Faire 2011 “EverQuest II: Art and Animation”. New this year are Kilts, Animation Retargeting, a New Outfit, and new flying mounts including a Flying Squirrel. If you’d like to view the Slides from this panel in higher quality, check out the updated EQ2 Panel #2 – Art and Animation writeup. We’ll upload an HD version of this video soon. I’ve posted our first video from SOE Fan Faire 2011 “EverQuest II: Freeport and Beyond” which is an overview of everything we can expect from the EQ2 team until November 2011. If you’d like to view the Slides from this panel in higher quality, check out the updated EQ2 Panel #1 – Freeport and Beyond writeup. We’ll upload an HD version of this video soon. The Q&As and Panels are done, and it’s time to decompress in the Main Hall, or a hallway, or even “Kelethin”, a bar in Paris Hotel covered by faux trees. But that doesn’t mean the Questions & Answers have stopped. If you read our Fan Faire coverage and thirst for more, or if you posted a question to our Submit Your EQ2 Fan Faire Questions post, continue on. WARNING: These are more informal discussions and you SHOULD NOT make any assumptions or consider any of these comments to be PROMISES by the EQ2 team. Anything here is Subject to Change. Usually I’m talking to 1 dev, but many issues are multi-discipline and when the team is consulted, there may be reasons why something can’t be done. These are summaries, NOT direct quotes. Any errors of accuracy are mine alone.